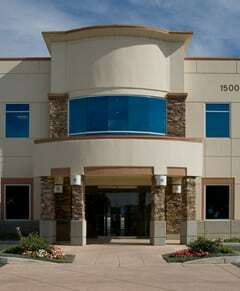 Here at Barrister Executive Suites, we are constantly looking for the best places to offer to our clients. Over the past year, we’ve remodeled and redecorated several suites, and now we’ve relocated our Los Angeles Airport office suites. 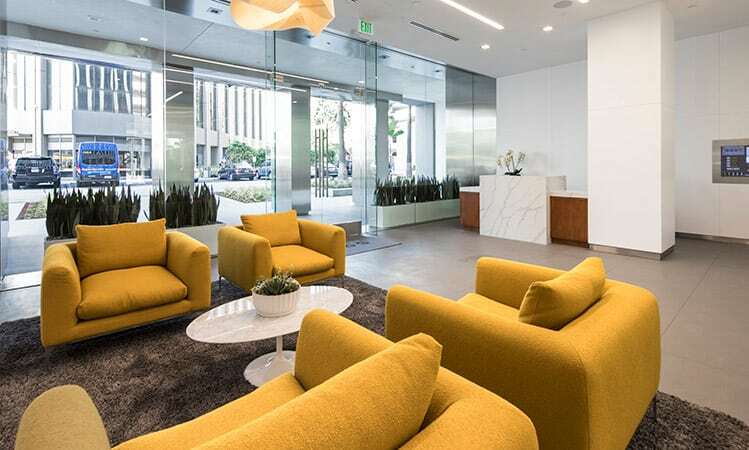 For those in Los Angeles who are looking for a fantastic new office that’s near LAX and countless convenient amenities, explore our new executive suites! This L.A. office suite features a professional receptionist and mail & package handling. 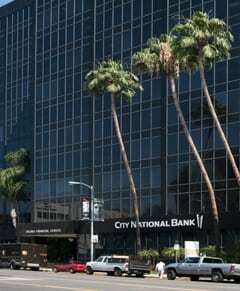 With a prestigious address on Century Boulevard, clients will immediately be impressed. Enterprise grade internet access and WiFi is available, as well as telephone service and equipment. 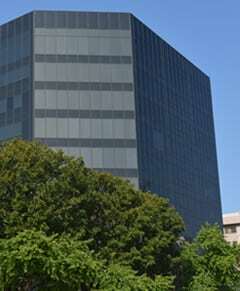 Tenants have access to conference room use, as well as an employee break lounge stocked with free coffee and beverages. 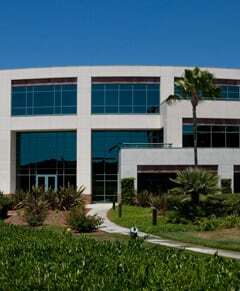 Offices come furnished or not furnished according to each business’s needs. Another perk of this location is that tenants have access to a discounted Lexis/Nexis membership. 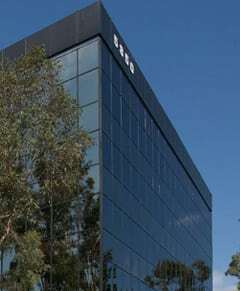 This L.A. office has convenient access to Glen Anderson/Century (105) & San Diego (405) Freeways. 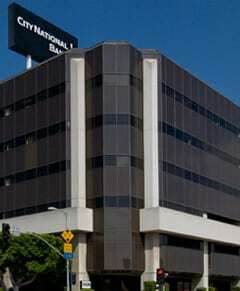 It’s a quick ride to LAX, and just a block from the new Metrolink LAX Line stop. 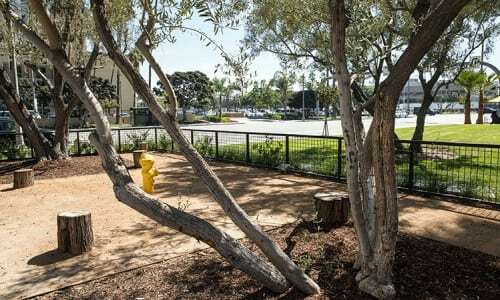 If you’re a dog lover, you’ll be delighted by the dog park on-site! 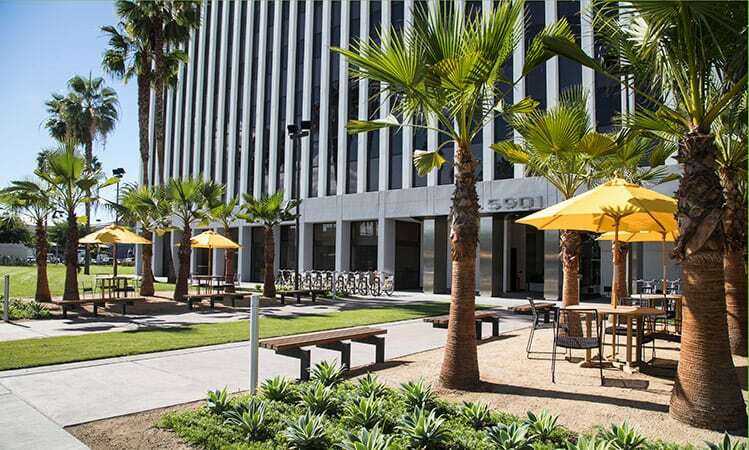 Other great amenities include the bicycle sharing program and the on-site cafe with outdoor seating. 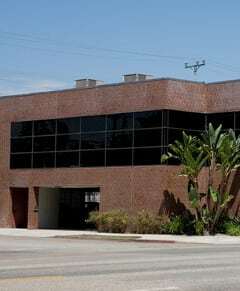 Learn more about our Los Angeles office suite and contact us if you are interested in making this location your new office! Working near the beach is as great as it sounds and makes working in an office all day ten times more enjoyable. Occupying an office that is right on the beach does come with its pros and cons as any location would but, the pros do outweigh the cons. 1. The view is easily the best part about Barrister’s Santa Monica Executive Suite (pictured above). It will be your motivation to get out of bed in the morning. Having a cup of coffee while looking out at the Pacific Ocean is a relaxing start to the workday. There is no better way to spend your break or lunch hour than by walking along the beach, listening to the waves, and smelling the ocean air. 2. Working near the beach also means there are countless interesting shops around the office. Whether you are looking for a delicious meal or a place to shop after work, these types of establishments are usually found within walking distance. 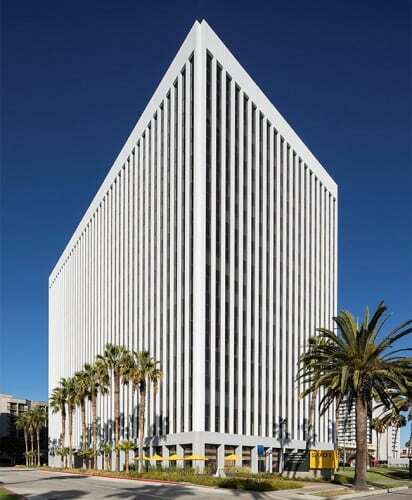 At our Santa Monica Searise Office Tower, you can find a fantastic Farmer’s Market close by. 3. Along with the views, Barrister’s two Santa Monica office buildings are conveniently located to serve your needs, and both offer easy access to the Santa Monica Freeway and Pacific Coast Highway. 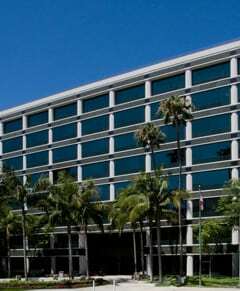 Both locations are also within proximity to Los Angeles International Airport, in the event you need to catch a flight near the office. 1. Working near the beach means that you may become distracted by the beauty. Finding yourself day dreaming as you watch the waves can have a stress relieving effect, but it can also cause your mind to wander away from the task at hand! 2. The tempting foods that can be found at the beach may derail your diet—thankfully, the beaches by our Santa Monica office have a diverse selection of culinary treats, so you can choose when to indulge in something outside your diet plan. 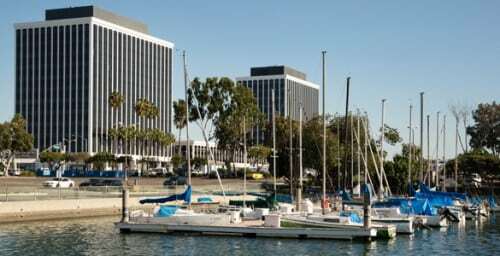 However you prefer to work—near the beach or not—browse Barrister Executive Suites locations to find the perfect spot for your next meeting or office space. 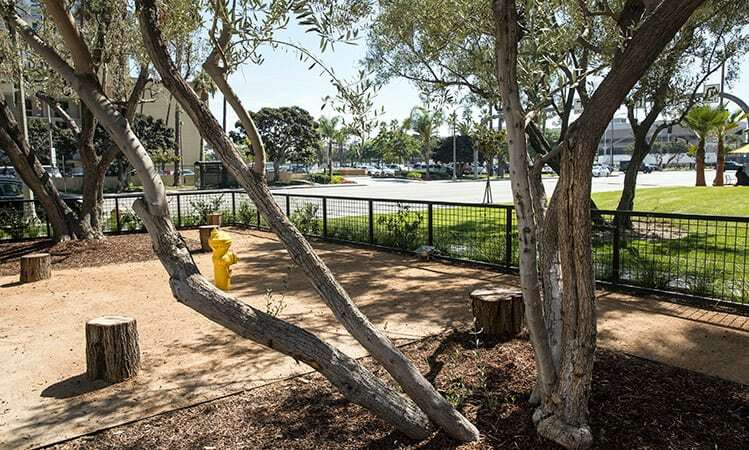 Just a hop, skip & a jump away from our Burbank offices in Central Park at Toluca Lake is Olive & Thyme. With new specials weekly, you’ll never be bored with the menu. The variety offered at this restaurant means there’s probably a dish that you will absolutely love. Check out delicious updates from this Burbank favorite. If you’re looking for an outdoor, laid back atmosphere, the Stonehouse near our Westlake Village office location is the spot to be. The ambiance is gorgeous, with fire pits, lights hanging from the trees, and happy customers all around. The Stonehaus has incredible brick oven pizza and excellent meat and cheese platters. 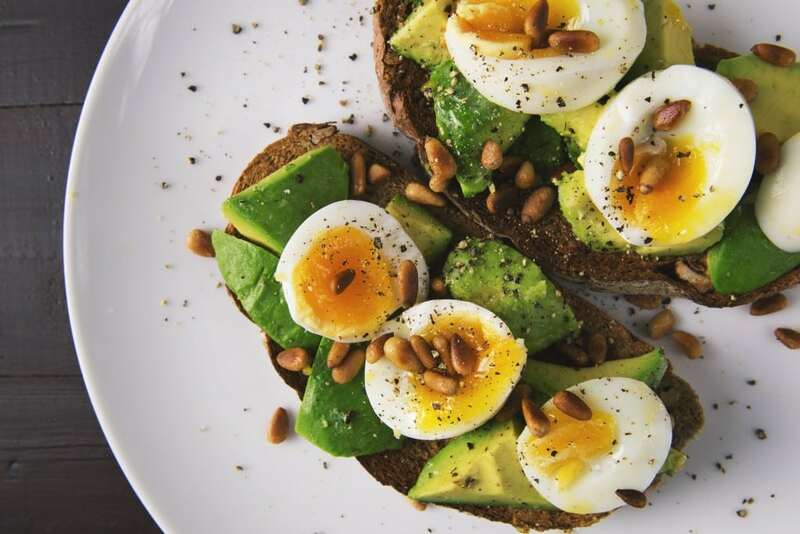 If you’re staying in the Westlake Village Inn for business, stop in for a delectable bite. Oh, and did we mention the wine? Find them on Facebook for recent updates. Thanks for keeping our clients fueled! For the ninth consecutive year, Barrister Executive Suites was awarded The Signal’s “Best Of” Santa Clarita Valley Award for Best Executive Suites & Offices. Readers of The Signal vote on businesses in various categories each year, and Barrister’s Valencia location has consistently been recognized for excellence. The Santa Clarita Valley area Suite Manager, Barbi Davis, was spotlighted in The Signal for her efforts in helping businesses with turnkey office space that is customized to fit a wide variety of business models. 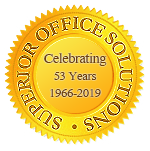 Barbi and her team work diligently to provide superior executive suite solutions to businesses, which is evident in the many awards they’ve collected over the years. Barbi has worked at Barrister for 25 years, and her dedication to the mission of Barrister is apparent in how she is constantly working to deliver the best experience for tenants in Valencia. Barrister’s Valencia office location was established in 2004, and has quickly become one of Barrister’s shining stars. 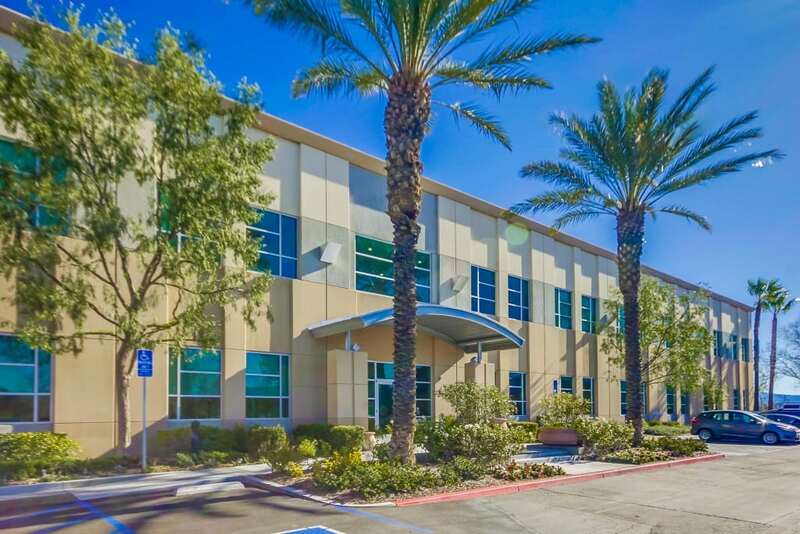 Located in the Valencia Gateway Office Park, the Summit at Valencia has convenient access to I-5 Freeway and Highway 126, just 10 minutes north of the San Fernando Valley and 30 miles north of Downtown Los Angeles. 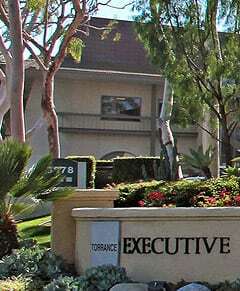 Tenants enjoy close proximity to Championship Golf Courses, Newhall Ranch and Valencia Town Center. 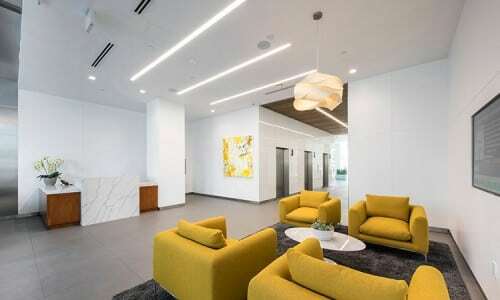 These inspiring offices have lots of natural light, high ceilings, and come equipped with all of the amenities needed to run a business efficiently. The onsite staff is friendly and professional, we’re proud to receive so many compliments on our amazing Team. 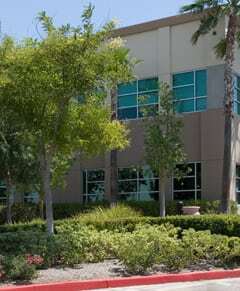 Clients also enjoy all of the included amenities such as conference rooms, employee lounge/break room, telephone & internet service, and free parking. 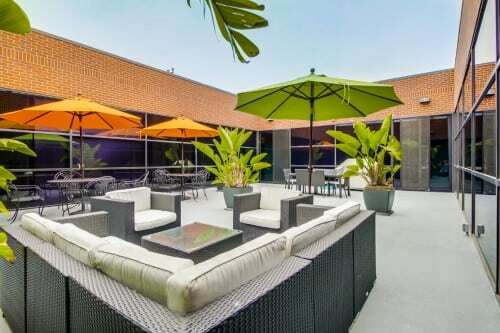 This location also has a relaxing outdoor courtyard with ample seating and water feature, which is very popular with Tenants. 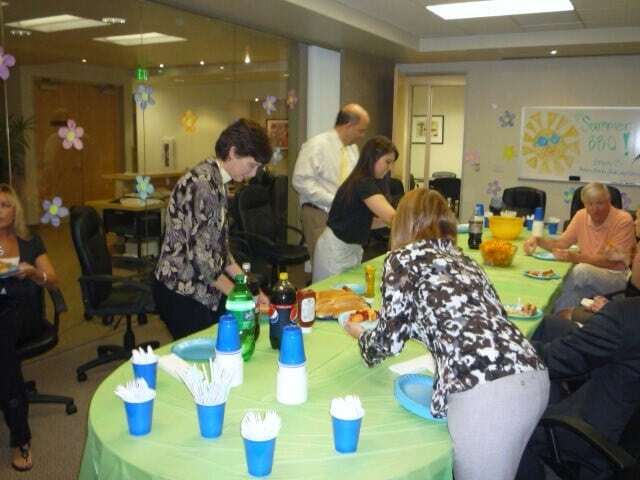 It’s a relaxing place to enjoy your lunch, or host a business networking mixer. 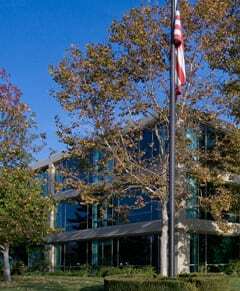 Learn more about this executive suite and other suites located throughout southern California on our executive office suite locations page. Barrister Executive Suites, Inc. tenants in Downtown San Diego are invited to an Ice Cream Social to welcome new tenants and mingle with fellow tenants on the floor. 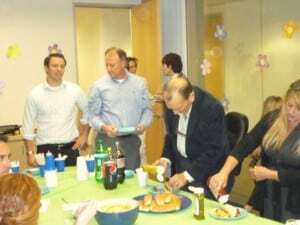 The Ice Cream Social will be on Thursday, September 22nd from 2:30 – 4:00 PM in the large boardroom at 525 B Street, Suite 1500, San Diego CA 92101. 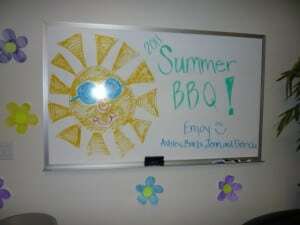 All tenants are invited and welcome to bring friends or business associates to join in the fun. 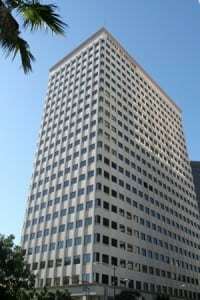 For more information on Barrister Executive Suite, Inc.’s property in Downtown San Diego, call 1-800-576-0744. 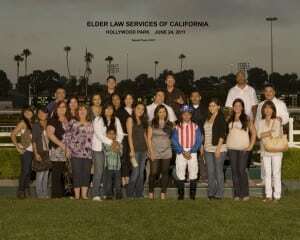 It was a night at the races for Barrister Executive Suites, Inc. staff and tenants on June 24, 2011. 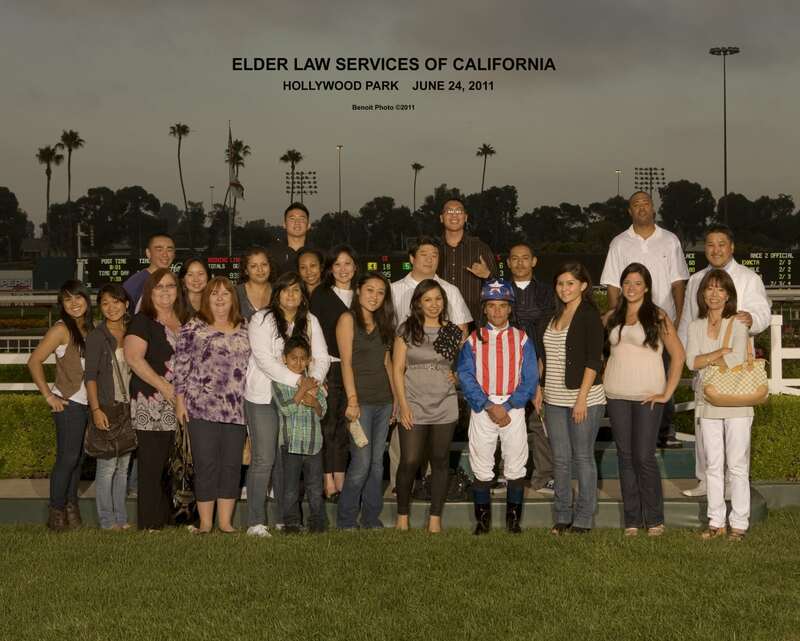 Barrister tenant in the Airport Spectrum near LAX, Judd Matsunaga of Elder Law Services, invited Elder Law Services employees, Barrister employees, and friends to enjoy a night at Hollywood Park. 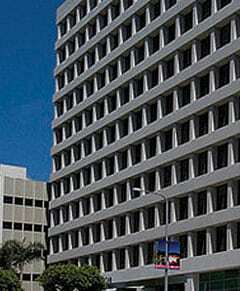 Judd Matsunaga is a tenant of Barrister Executive Suites, Inc. at the Airport Spectrum Offices. 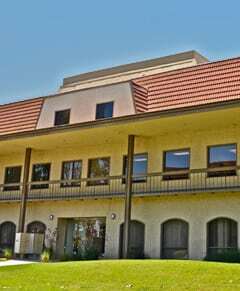 Mr. Matsunaga’s law firm, Elder Law Services, provides legal services for estate planning, Medi-Cal Planning, senior bankruptcy, California probate issues, living trusts, and wills. For more information, call 800 403-6078. 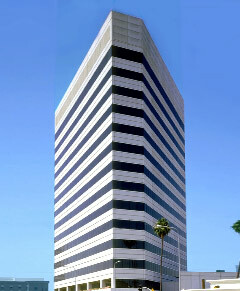 The Airport Spectrum offices are located at 5757 West Century Boulevard Suite 700, Los Angeles, CA 90045. 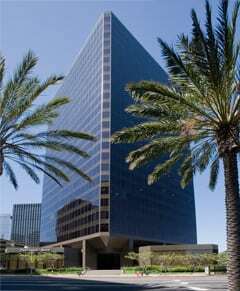 The offices are conveniently located near Los Angeles International Airport for those who travel or conduct meetings with guests who travel into the Los Angeles area. 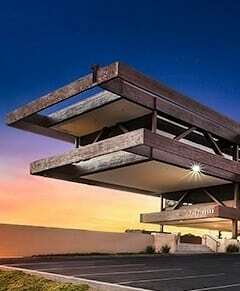 The Airport Spectrum has on-site dining, valet parking, and shuttle to Los Angeles International Airport. 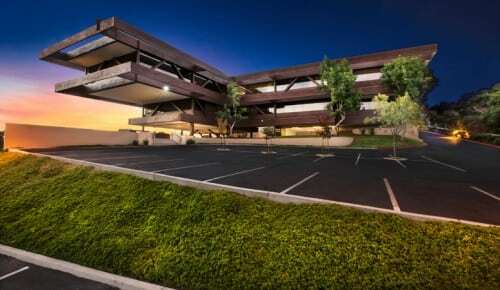 The offices are walking distance to a fitness center, restaurants, and hotels. Ice skating isn’t only for the winter months, or for a city that gets snow! This weekend the ice is coming to Sherman Oaks. On July 23-24, the Sherman Oaks Galleria will set up an eco-friendly skating rink with synthetic ice. Admission will be $2.00 for everyone, which includes skate rentals for those without skates. “It was so much fun last year,” says Area Vice President, Christine Nam. 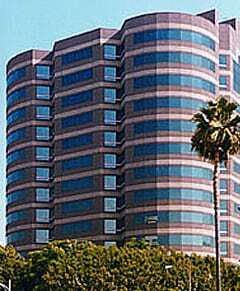 “I am so glad they are doing it again this year!” Barrister’s offices at the Sherman Oaks Galleria are conveniently located so tenants can enjoy the on-site amenities. There are plenty of dining options, shopping, and theaters. Also, during the summer months there is live entertainment, along with food and drink specials at the restaurants. 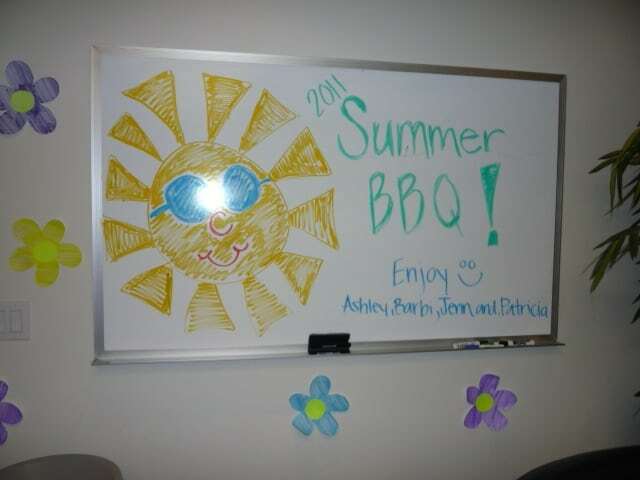 Summer is a great time for parties with friends, family, and fellow tenants at your Barrister suite! 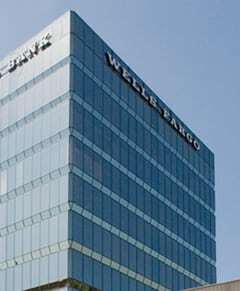 This Wednesday, July 20th, Barrister Executive Suites, Inc. will be hosting a Tenant Meet and Greet Networking Mixer in Encino. 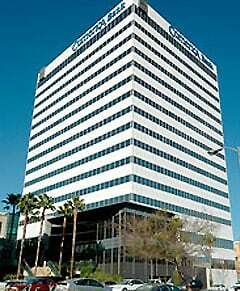 The mixer will be held on Wednesday, July 20, 2011, from 12-2 PM in Barrister’s large conference room at 15760 Ventura Boulevard, 7th Floor, Encino, CA, 91436. 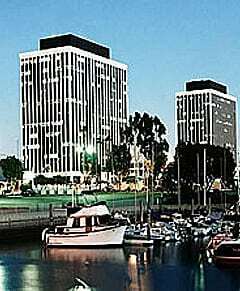 For more information, please call 818.788.2664 to speak with Suite Manager, Sondra Hollis. 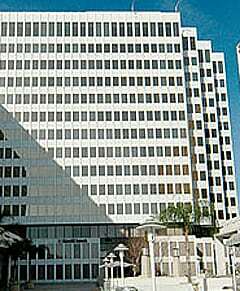 Shaking it up at Barrister Executive Suites, Inc.
Woodland Hills can get hot during the summer. How hot? It can be scorching with records over 110 degrees. 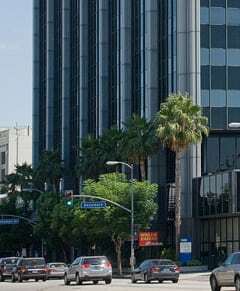 Fortunately, Barrister Executive Suites, Inc. has offices in Woodland Hills that are equipped with air conditioning and a milkshake mixer to keep tenants cool and happy. This week, Suite Manager Kerri Linda Morales, hosted a Tenant Appreciation Party serving made-to-order milkshakes to tenants. 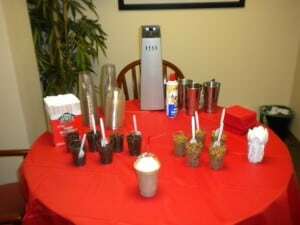 Each tenant could customize their milkshake with their choice of ice cream flavor and candy mix. Kerri Linda used a classic Hamilton Beach Commercial Milkshake Maker which has been in the family for three generations and makes a very tasty treat! 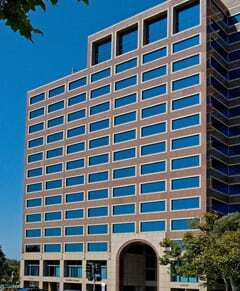 For more information on Barrister’s Offices at 5850 Canoga Avenue, 4th Floor, Woodland Hills, CA. 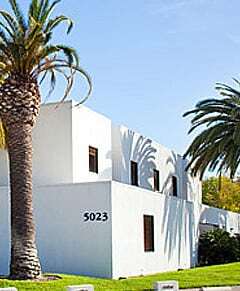 91367, please call 1-800-576-0744 or email leasing@barrister-suites.com.